AdoredTV is back with yet another juicy leak, this time regarding AMD's upcoming 7 nm Navi gaming GPU lineup that is scheduled to be released in the first half of 2019. If the information is right, it looks like AMD is going for aggressive price points in the mid-range GPU market, making the upcoming Radeon RX 3080 / 3070 / 3060 models a very tempting alternative to Nvidia's RTX 2070 and GTX 1070 / 1060 cards. With the jump to the 7 nm manufacturing process, AMD is set to get ahead of its rivals, since Intel will be stuck with a half-baked 10 nm node and Nvidia’s RTX 2000-series is using the 12 nm node. AMD CEO Lisa Su is confident that the red team will once again provide excellent competition for Nvidia across all GPU sectors, just like in the glory days of the early 2000s. We are very close to the official reveals of the Navi GPUs and the Ryzen 3000-series CPUs, as AdoredTV recently leaked what looks to be model names, specs and pricing information for both families. According to AdoredTV, the Navi GPU family will include three models that are targeting Nvidia’s current mid-range lineup. The new Radeon RX 3080 (Navi 10) will go head to head with the RTX 2070, while the RX 3070 and RX 3060 (both members of the Navi 12 SKU) will battle it out with Nvidia’s GTX 1070 / 1060 cards, respectively. 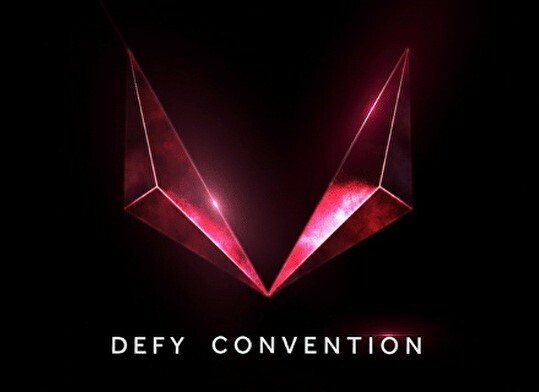 The RX 3080 GPU will integrate 8 GB of GDDR6 VRAM, will have a TDP of 150 W, and it is expected to deliver 15% increased performance over the current Vega 64 chips. The MSRP is said to be US$250, which seems like a very aggressive pricing compared to Nvidia’s US$400+ GTX 1080 GPUs (the RTX 2070 is even more expensive). Next is the RX 3070, which also comes with 8 GB of GDDR6 memory and a 120 W TDP. Performance-wise, this model is expected to be as powerful as the Vega 56, but it would only cost US$200. Finally, the RX 3060 gets only 4 GB of GDDR6 VRAM, has a very low TDP of 75 W, and performs on par with the RX 580, with a low MSRP of only US$130. Even if the performance is just below Nvidia’s GPUs, the Navi cards would still sell like hot cakes at these price points. The true challenge for AMD will be to dethrone the RTX 2080 Ti with the upcoming high-end cards scheduled for late 2019.